Every council ward in Chorley is set to change as a result of a nine month long boundary review. Last June the Local Government Boundary Commission for England (LGBCE) announced it was asking residents for their help to draw up a new pattern of council wards for Chorley Council. After nine months of deliberating the Commission has announced that every council ward in Chorley will change as a result of the review. The Commission’s final recommendations propose that Chorley should be represented by 42 borough councillors in the future; five fewer than the current arrangement. The recommendations also propose that those councillors should represent fourteen three-councillor wards. Professor Colin Mellors, Chair of the Commission, said: “We are extremely grateful to people across Chorley who took part in the review. "The Commission has looked at all the evidence that was put forward during the consultation. In response to local feedback during public consultation, the Commission has made changes to some of the proposals it published in November. In the south of the borough, it has listened to local views put forward during consultation and has agreed to include the whole of Heath Charnock parish in a Chorley South East and Heath Charnock ward. The Commission had previously proposed to divide the parish between wards. At the same time, the Commission has decided to include Anglezarke parish in Adlington and Anderton ward. In the west of the borough, the Commission has changed its draft proposals so that Heskin parish will now be part of a ward with the parishes of Eccleston and Charnock Richard. The changes also mean that south Euxton is included in a ward with the parishes of Bretherton, Croston, Mawdesley and Ulnes Walton. 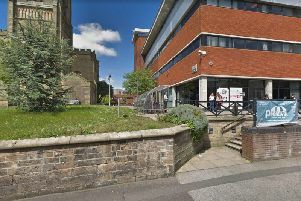 It comes after Chorley Coun Alan Whittaker, who represents Chisnall, described initial plans to remove Heskin’s historic link to Eccleston – and connect it to Ulnes Walton – as “bonkers”. The draft Order provides for the new electoral arrangements to come into force at the council elections in 2020.